LOS ANGELES, Calif. /California Newswire/ — Caregivers who provide in-home support for elderly Californians and people with disabilities will stand in solidarity at a day-long rally and fasting as they call on Gov. Jerry Brown to treat caregivers equally under the law, as he had promised last year, SEIU United Long Term Care Workers announced today. On Feb. 5, workers launched actions that continue daily outside Gov. Brown’s Capitol Office in Sacramento, and on Feb. 11, workers throughout the state held press conferences outside of state buildings rallying for equal treatment and proving they are resilient and united in effort. Caregivers are coming together again throughout the state this week, signaling growing support for workers in their struggle to attain equal treatment under the law. 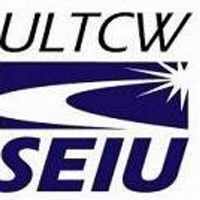 This Thursday’s vigil and rally in Los Angeles is part of California workers’ ongoing effort to urge Governor Brown to keep his promise of equal treatment in overtime protections for caregivers. Over 100 people carrying candles, banners, signs during vigil.